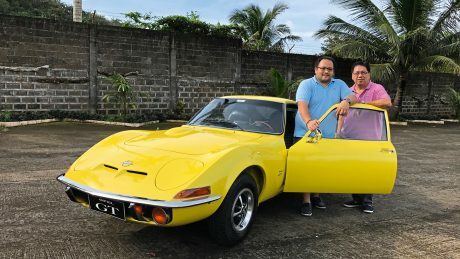 Jose Carlo Y. Martinez (left), his father, and their pride and joy: a GT from 1973, which these Opel fans spent two years restoring. 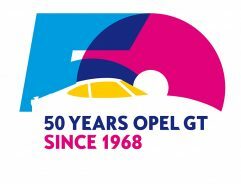 To celebrate the 50th birthday of the Opel GT, we’re introducing people who have a deep affinity for the sports coupé. 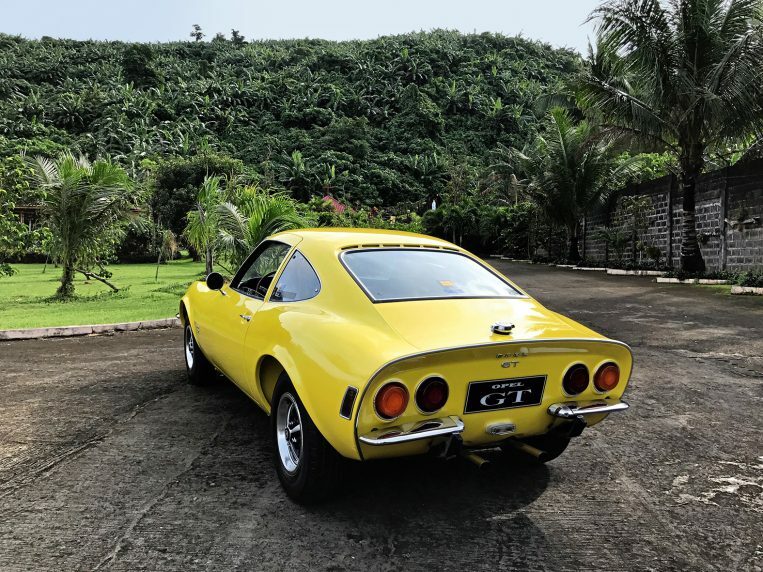 A long-standing Opel fan, Jose Carlo Y. Martinez, only takes his restored GT out for a spin in the Philippines on special occasions. The Philippines is a country with 101 million inhabitants dispersed across 7,107 islands in the Western Pacific. The streets are covered with SUVs, pick-up trucks – mostly of Japanese origin – tuk-tuks, rickshaws, and so-called jeepneys; these are brightly decorated communal taxis with up to 14 seats. According to a recent statistic, a little more than 130,000 passenger vehicles were sold here in a year. Toyota is the market leader, with more than 44 percent of the market share. Although Opel withdrew its trade from the island nation in recent decades, it has retained a fan base there. 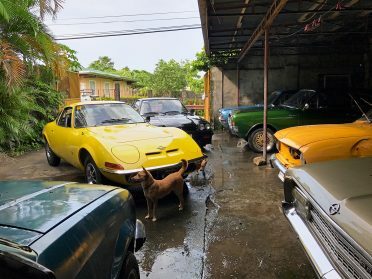 One of these fans is Jose Carlo Y. Martinez from Laguna on Luzon island, who owns a whole fleet of historic Opel vehicles. 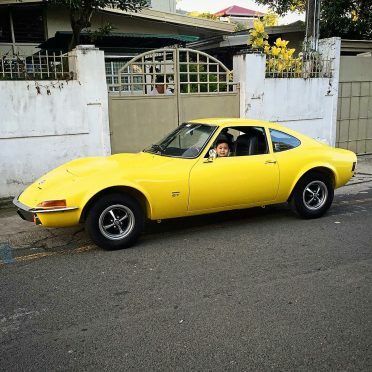 His pride and joy is an Opel GT 1.9 from 1973. Long-standing Opel fan: Martinez has been restoring cars bearing the lightning bolt emblem for 20 years. 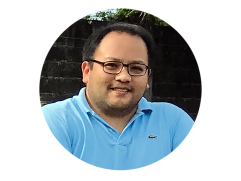 It all began in 1969 with his grandfather’s Rekord C.
An exotic car in the tropics: The GT has found itself a home in the Philippines, or specifically, in the town of Calauan, which is situated near the country’s largest lake, the 949-square-kilometer Laguna de Bay. 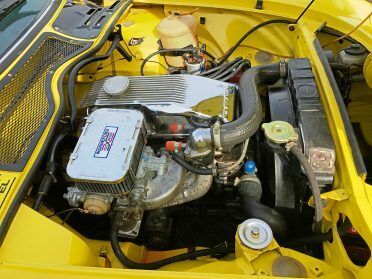 Utterly unique: The citrus yellow GP achieves ‘around’ 100 HP with the drilled-out 2.0-liter engine. Martinez’ passion is immediately recognizable in the courtyard: Numerous historic Opel models are waiting to be or have already been restored. Impressive despite small numbers: Martinez’ GT is one of an estimated 15 remaining GT models in the Philippines. The Filipino knows three other fellow countrymen who each own a GT and estimates that there can’t be more than 15 in the entire country. Official figures are no longer available. Opel exported no more than 1,012 vehicles to the ‘Overseas Operations’ region between 1968 and 1973, according to company statistics.